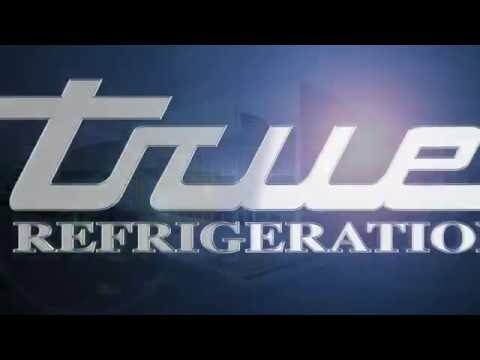 True TDD-2-HC Two Keg Capacity Direct Draw Beer Dispenser is designed with enduring quality and value to assure colder product temperatures and years of trouble free service. 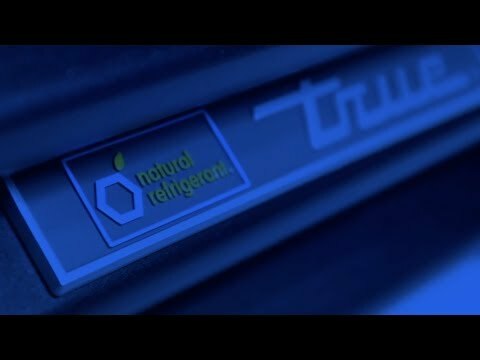 The oversized, factory balanced refrigeration assures colder temperatures and system holding at 33°F to 38°F (.5°C to 3.3°C). The exterior of this (2) 1/2 barrel capacity direct draw beer dispenser is made of heavy duty, wear resistant black vinyl on the sides and front. The back of the unit is a matching black made of aluminum. The entire cabinet structure and (2) solid locking doors are foamed-in-place using Ecomate. Ecomate is a high density polyurethane insulation that has zero ozone depletion potential (ODP) and zero global warming potential (GWP). The interior has a stainless steel floor with a ½ inch lip and heavy gauge galvanized steel walls. The (2) positive seal doors are fitted with 12 inch long recessed handles, and removable one piece magnetic gaskets. The easy to clean, stainless steel counter top has (2) removable stainless steel drip trays. 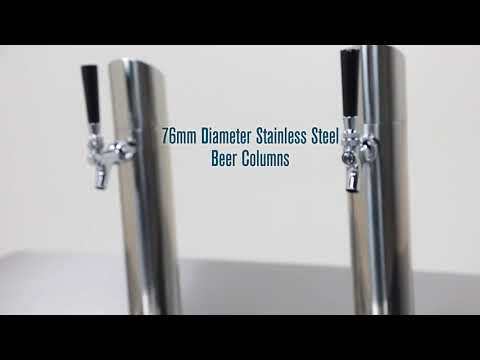 With (2) 3 inch diameter stainless steel insulated column faucet, cold air is directed into the beer column to reduce foaming and maximize beer profits. The unit is designed to accommodate all types of beer kegs and comes standard with a two way tapper manifold. 1/3HP, 115v/60/1, 9.1 amps, 7 foot cord, NSF, Energy Star, NEMA 5-15P, Made in USA.